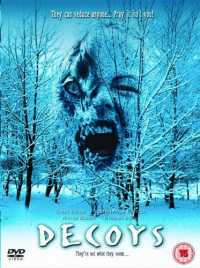 Decoys is a 2004 science fiction horror film directed by Matthew Hastings, and written by Tom Berry and Hastings. The cast included Kim Poirier and Nicole Eggert. It was filmed in Ottawa, Ontario and originally broadcast on the Sci Fi Channel. A sequel, Decoys 2: Alien Seduction, was released in 2007.